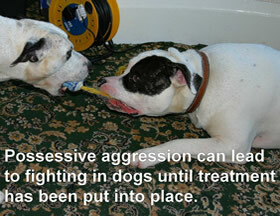 ‘IS YOUR DOG BEING AGGRESSIVE? IF THIS THE PREVIOUS SENTENCE DESCRIBES YOUR DOG OR DOGS THEN PLEASE READ ON BECAUSE PRACTICAL HELP IS AVAILABLE FROM ONE OF THE LEADING ANIMAL BEHAVIOUR SPECIALISTS IN THE UK. ‘IF YOUR DOG IS DISPLAYING AGGRESSIVE BEHAVIOURS IT IS RARELY ANYTHING CONNECTED TO TRAINING. DOG TRAINERS RARELY CHANGE AGGRESSIVE BEHAVIOURS IN DOGS (MANY EXCLUDE SUCH DOGS FROM CLASSES). UNDERSTANDING AGGRESSION IS THE FIRST STEP TO SUCCESSFULLY CHANGING PROBLEM BEHAVIOUR. READ ON AND PLEASE CONSULT THE ANIMAL BEHAVIOUR CLINIC ON 01257 249960 OR DRDAVIDSANDS@AOL.COM FOR ASSISTANCE! ‘Fear-based’ aggression can be directed towards other dogs, owners or strangers. A dog, if ‘hyper-alert’ (hyperactive state) or made fearful, may growl bark at, lunge at, snap, nip or attempt to chase-off any target that is considered a ‘threat’. This type of ‘antisocial behaviour’ is shown by a dog has experienced difficulties or has been attacked by another dog or is reacting by association following abuse or aggression. The fear of an attack promotes a ‘get in first’ strategy linked to fight or flight. Whilst most aspects of canine aggressive-behaviours are ‘instinctive’ some are potentially ‘addictive’ in domestic breeds. 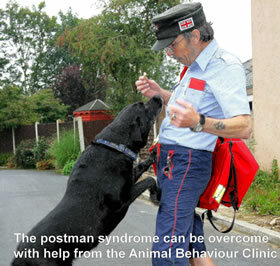 There can also be an influence in the dog’s early stages of development known as faulty-learning’. Some problem-behaviours are displayed when hormones, including testosterone and adrenaline, closely linked to increased excitement, alertness and awareness, are at their highest. This is usually when young dogs, aged between 6-18 months, are ‘entire’. Castration does not treat aggression in dogs! Which aggression describes your dog? ‘Territorial’ and Fear-based aggression is commonly displayed around the home and surrounding territory when a dog reacts to a ‘perceived threat’ or noise or when strangers or other dogs are viewed as ‘threatening’. This includes growling (warning) or barking and can be displayed as strangers are stroking or handling the dog. 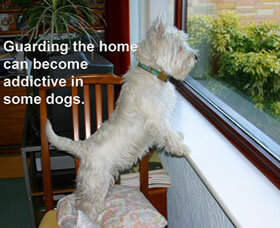 ‘Target-related aggression is commonly displayed as window-barking at post-person, people at the door, passers-by or people leaving the house. 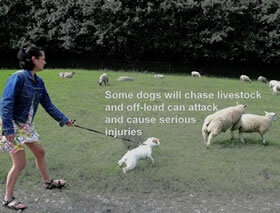 This behaviour is commonly ‘fear-based’ and linked to ‘territorial-aggression’ and is extremely-addictive in some dogs. 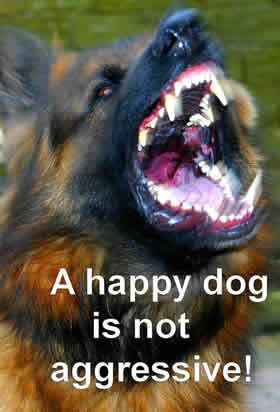 ‘Predatory’ aggression is frequently displayed as ‘flash-point’ behaviour which leads to a person or dog being nipped or bitten. This behaviour can be associated with chronic pain or injury linked to an ongoing condition. Status-related or ‘dominant’ aggression is usually seen in the form of ‘challenging or controlling-aggression’. When displayed as selected-behaviour in livestock-controlling breeds it includes nipping and biting and can be shown to family members. This includes ‘possessive’ behaviour (‘growling over food’, refusing to give up items such as food, toys or an owner’s belonging). There is some association to ‘frustration’ when the dog is not getting its own way such as over access to food, treats, toys, rooms or being denied access to people. ‘Intraspecific’ or dog-versus-dog aggression can develop from a time when a dog has been attacked by another (‘fear-based’) or when a dog is asserting its status, territorial ground and thresholds or ‘dominance’ onto others or protecting and competing over a resource (food, toy or access to owner). Where a ‘threat’ is ‘driven away’ and the dog, reacting to the effects of stress, is ‘rewarded’ by hormones associated with relief. The intensity of ‘relief’ gained by some dogs after they succeed can become addictive. ‘Threats’ are represented as other dogs, someone they do not trust, refuge collectors, postman or passing vehicles, cyclists and motorbikes. The ‘reward’ for dealing with a ‘target’ is greater than any ‘benefit’ gained from the aggressive action. This aspect can develop into highly addictive-behaviour (associated with reward-hormones) if the frequency of aggression increase. 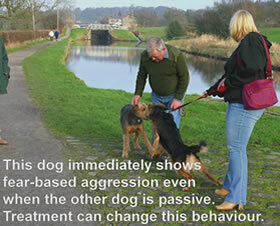 People and dogs often leave the scene following the bout of aggressive behaviour or the dog is withdrawn. This suggests to the dog’s idea that it has succeeded in dealing with a ‘threat’ to the ‘human-canine social group and territory. When displayed and successful a aggressive ‘challenge’ gains the dog an advantage over a resource, territory, status, mating, food, possession or advantage over or access to owner This aggression is about dog wanting establish an advantage; wanting to compete and needing to be first all the time. Status issues can be seen through play (not giving up a ball), through food and toy-play (growling) and taking up vantage positioning such as standing up, resting the stairs or sofa. Most aspects of dog aggression can be linked to ‘fearfulness’. Any significant changes involving house-moves and family members may trigger behavioural problems. The introduction of another dog or puppy and children can trigger aggression in dogs.